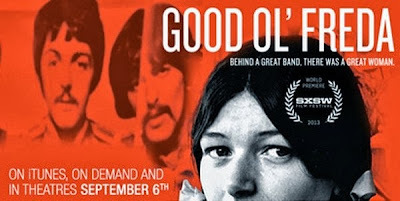 British Beatles Fan Club: Good Ol' Freda Comes to the UK! The 57th BFI London Film Festival will include two screenings of Good Ol' Freda, the film about the original Beatles Fan Club secretary. "For the first time and in her own words, Freda Kelly tells how she went from Liverpool typist to the heart of The Beatles' musical revolution."